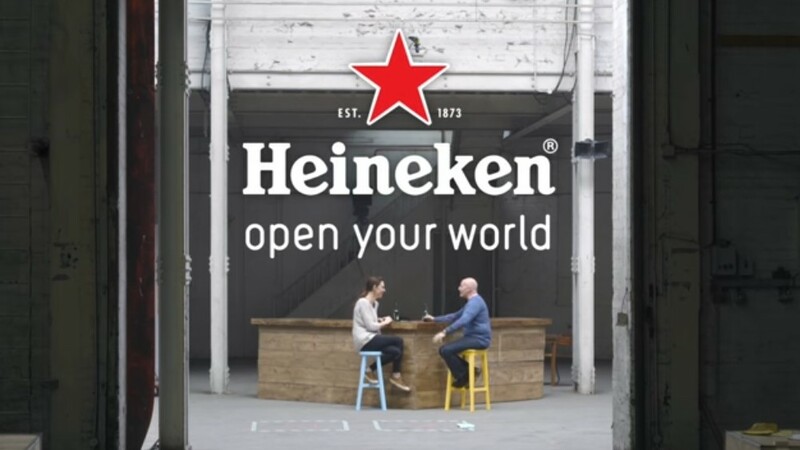 Everyone can go home, Heineken just produced the ad that talks most in today's language to today's people. Two people, two radically divergent opinions, climate denying versus environmentalism, patriarchy versus feminism and the list goes on. An ambiguous experiment, on two subjects not aware of what it entails. An embarrassing revealer, and eventually a civilized sitdown over - what else - a Heineken! And of course it helps that what these two people were building was a bar and two stools they can sit down on and have a talk. At times it is not about changing opinions, it is just about having a talk. And of course, when one "humanizes" the other opinion, it becomes easier to discuss it, or just agree to disagree. Watch the beautiful film here! 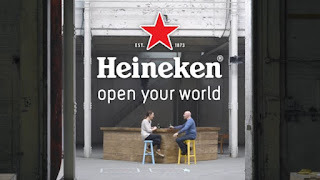 Back in the day, Heineken produced a movie with "It takes every kind of people (to make the world go round)" for a soundtrack - with people from many walks of life agglomerating at a pub, including a priest.. So here we are again take me to that pub and let us #openyourworld - and mine too.